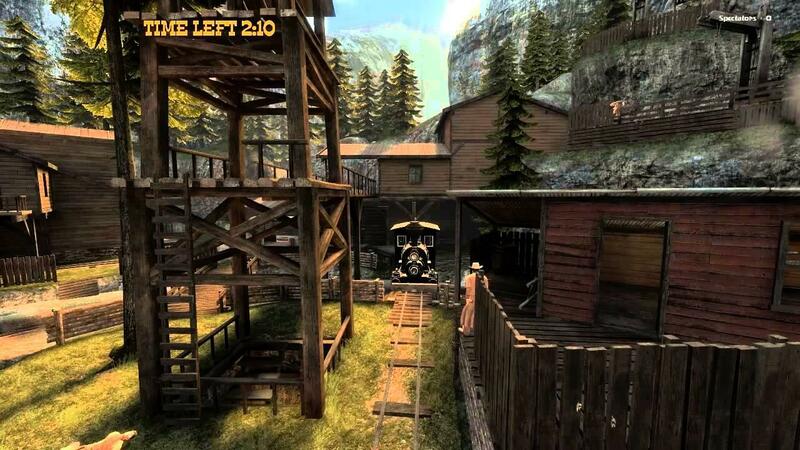 Fistful Of Frags - First person shooter set in the Wild West times. Take part in frenzy team versus shootouts or play cooperative missions against AI managed enemies. Most of the classic black powder guns are available in single or dual wield setup. This is a free modification for Source engine that has been in development for almost 8 years. It will remain free of charge forever. No micro-transactions, no donations, not anything that involves taking your money. You all like free games right? Needs a big push on Steam's greenlight so go spare a vote. +1 for Fast Headline change! Quote from Beemer +1 for Fast Headline change! I can only imagine. Lost an R somewhere. Haha. SO it's like Tf2 but with a western theme. Wasn't/ Isn't there a game like this already on Linux with the quake engine? Yes, 'Smoking Guns'. And it's a very good game too. This is the best source mod I've ever played. Incredible multiplayer gameplay. Unfortunately I had to quit playing it when I dropped Windows a long time ago. I hope It gets greenlit. And like Liam says, who doesn't like a free (awesome) game? Come on linux voters! Yeeeeee-haaaaa! You can also log in with your browser to vote. I played this a couple of years ago! This was well cool. Beats Smokin' Guns by a mile in terms of gameplay, and the soundtrack is equally awesome. It is definitely one of the better Spaghetti Western games I've ever played. Greenlighting the crap out of it!